Erich Storm was born in Seattle, Washington. In junior high school, he moved to Moscow, Idaho, with his parents and sister where his father taught in the English Department at the University of Idaho. Mr. Storm obtained his bachelor’s degree in History from the University of Washington in 1979. In 1981, he returned to northern Idaho and attended the University of Idaho College of Law where he graduated in 1984. After graduating from law school, Mr. Storm remained in Idaho, clerking for the 6th Judicial District Court for one year, followed by both public and private practice focusing upon litigation in the areas of criminal law, insurance defense, and general civil matters. 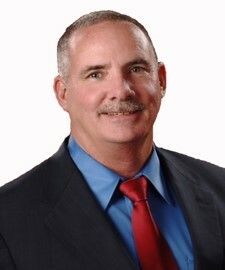 Mr. Storm was admitted to practice in Nevada in 1991 and relocated to Las Vegas in early 1992, where his practice has continued to center upon litigation in the realms of insurance defense (representing both insureds and insurers), personal injury (as counsel for claimants), and eminent domain (primarily on behalf of condemners). In his leisure time, Mr. Storm enjoys his children and their families, his dog, the outdoors, cooking, and classic firearms.